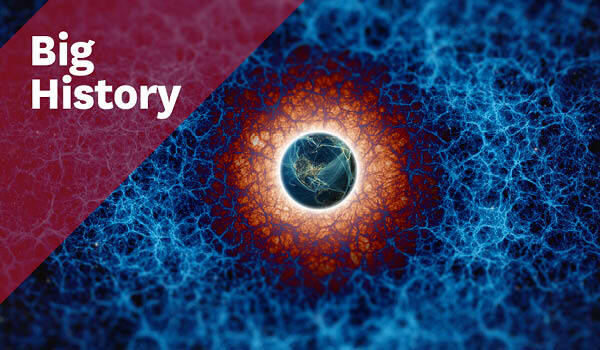 The Big History global classroom continues to grow as thousands of students worldwide complete the Big History: Connecting Knowledge Massive Open Online Course (MOOC) on Coursera. Launched at the Big History Anthropocene Conference in December 2015, the course takes students on a journey across 13.8 billion years. Starting at the Big Bang, students will travel through thresholds of increasing complexity to explore the past, present and future. Almost 5000 people from across the world have enrolled in the free course to discover the connections between historical events and to connect knowledge across disciplines for a deeper understanding of issues. Big History: Connecting Knowledge is Macquarie University's first ever MOOC on Coursera. "As students explore the Big History Framework they also learn how to approach claims of knowledge with a critical perspective examining their own relationship to knowledge, how it is created and connected," says Big History Institute Education Leader Tracy Sullivan. Students learn from a mix of 20 expert Macquarie University academics including anthropologists, philosophers, chemists, political scientists, geologists, archaeologists and historians. Professor David Christian, Director of the Big History Institute, draws their expert insights together in his wide-angle lectures that form the backbone of the course. Feedback has being very positive with 80% of learners rating the course five stars and 17% rating it four stars. Students from the United States, Australia, China and India currently form the largest cohort. There is growing interest in the rest of the world with students from the Netherlands to Russia to Israel also registering. The Big History Scholarship has launched alongside the online course. International students that complete Big History: Connecting Knowledge and who apply for an undergraduate course at Macquarie University are eligible to apply. One student will be awarded a full undergraduate scholarship for a degree of their choice. This year the Big History Institute online learning space will expand again with the launch of a series of "specialisation" courses. The series, entitled Big History: Solving Complex Problems, will take an interdisciplinary approach to tackling real-world global problems. Students will further develop critical thinking skills and will learn to draw from a wide knowledge base in their approach to any problem. "This is hugely relevant to the challenges faced by CEOs, scientific researchers, politicians, students, and entrepreneurs," says Big History Institute Executive Director Andrew McKenna. "Real-world problems are complex, and require solutions based on multidomain knowledge, cross- disciplinary critical thinking, and innovative problem-solving and synthesis skills." The capstone project will challenge students to solve a complex problem faced by a global organisation. Join the global community and enrol today in Big History: Connecting Knowledge on Coursera. Enrolment in the next course ends 6 February 2016 and the following course commences 29 February 2016.